Contributions (including dues) to Congregation Beth El–Keser Israel are tax-deductible to the full extent of the law. Congregation Beth El–Keser Israel has been determined to be an exempt organization by the United States Department of Treasury Internal Revenue Service as described in section 501(c)3 of the Internal Revenue Code; see our Letter of Determination from the IRS. Donate Online – To make a donation online by credit card, complete this form. Contributions of any amount are appreciated. Endowments – Click on the “Endowments” tab above to learn more about BEKI endowments and how to create one. Self-Mailing Donation Cards – Our office can send you “self-mailing” donation cards for get well and condolence messages. Cards with matching envelopes are available for a donation of $50 for 12, $100 for 25, or $350 for 100. Our office will send you the cards and envelopes, and you simply complete and mail them yourself. If you would like your individual dedications listed in the BEKI Bulletin, just email the office. Specify the number of get well and condolence cards you wish, otherwise about half of your order will be filled with each type of card. Contributions of $10 or more are acknowledged in the BEKI Bulletin unless otherwise requested. Receipts for donations of $200 or less are sent only by request. Your can be designated as being “in honor of” or “in memory of” someone or in marking a special occasion. Dedications are not for Dues or Kol Nidre/Renaissance contributions. If you wish your donation to be dedicated, please indicate this, and when appropriate our office will send a card or letter notifying the honoree. Notice is sent for contributions of $18 or more only. The Congregation maintains a portion of its endowments at the The Jewish Foundation of Greater New Haven. Under the Foundation’s careful management, the “real” (after-inflation) value of the fund principals are maintained so that funds can provide increasing income to the Congregation in perpetuity. For information on establishing an endowment for the benefit of BEKI contact past-president Donna Levine 203.985.9033 or Rabbi Tilsen jjtilsen@beki.org. For information on the Jewish Foundation or a confidential meeting contact its Director at 203.387.2424 ext. 304. The Ari Nathan Levine Memorial Fund for the Continuity of Congregation Beth El–Keser Israel, established by his parents, Donna and Sid Levine, was created in 2000. Donna and Sid Levine have been members of Congregation Beth El–Keser Israel since 1983, both have family roots in the Greater New Haven area, and both have served, and continue to serve, as directors, officers and volunteers of BEKI as well as of numerous other community charitable and service agencies. Donna and Sid are also the parents of Sarah, Ilana and Joshua, and live in New Haven. Several years ago, they established the Ari Nathan Levine Library at BEKI in memory of their son Ari Nathan, of blessed memory. Being Ari’s parents has shaped and enriched our lives in many ways. Along with the sadness of losing Ari and knowing he missed out on having a long and joyous life, we feel tremendously indebted to him for having guided our lives towards tsedaqa [philanthropy]. It’s been 13 years since his death, long enough for a child to grow to Bar Mitzva. We felt it was time to do something special to honor his memory and let others know that we regard Ari’s life as a blessing. We hope that BEKI will benefit from our gift and that it will in some measure contribute to the long life and endurance of our congregation. Little Ari Nathan Levine will always represent…that treasure which God loans to us in order to brighten our days for all-too-short a time, that treasure which brings more brightness to our lives than we could ever have experienced without him. Ari taught us the preciousness of life, of every life, of every moment, no matter what struggles or sacrifices are involved in clinging hopefully to life. …Ari delighted his parents, his grandparents, Sarah, and even baby Ilana with his capacity to love, a love which they returned abundantly and creatively, giving him love and time and support in rare measure and quality and ways. The life and death of Ari Nathan Levine had an extraordinary impact on the Levine family and on everyone who knew him. In a few short years he created a place in the hearts of his loved ones that will always be remembered. Even before birth, parents have hopes and dreams for their children. The death of a child can shatter those dreams. But through their maasim tovim (good works of community service) and through their acts of tsedaqa such as the creation of this Memorial, motivated by their love for him and by the profound effect he had on the direction of their lives, we will see that some of the dreams they had for him will be fulfilled in another way. The Ben & Ruth Marks Endowment was established by Ben Marks in 1985 to further the mission of the Congregation. Since its creation, the Endowment has provided a steady income to support the Congregation regardless of the general economic climate. 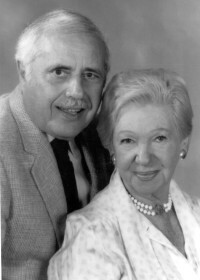 The Ben & Ruth Marks Endowment was managed by the Directors of the Congregation until 2008, at which time management was given to the Jewish Foundation of Greater New Haven. The Bessie & Max Levine Children’s Library Endowment was established in 2006 through a bequest of Norman Rubin honoring his aunt and uncle, of blessed memory. Income from this endowment is used to provide Judaic library books for BEKI children for use at the synagogue, religious school and home. The The Beth El–Keser Israel Religious School Fund was established in the early 1980s by leading families (listed below) as “The Hebrew School Endowment Fund” to provide continuing support for the Religious School. Since 2008, the Fund has been managed by the Jewish Foundation of Greater New Haven. Original funders included Mr. & Mrs. Stephen Alderman, in honor of their son David Louis; Esther & George Alexander; Beth El-Keser Israel Sisterhood; Beth El-Keser Israel Daily Minyan Group; Bessie Bernstein & Children, in memory of Lawrence H. Bernstein; Anne Byer & Herman E. Echtenthal, in memory of Rose Scherban; Michael Birns & Beth Martin; Mr. & Mrs. Paul Dworkin; Mr. & Mrs. Herbert Etkind; Mr. & Mrs. Ernest Fiedler; Mrs. Diane Friedman, in memory of Dr. Irving Friedman; Dr. & Mrs. Ralph Friedman; Mr. & Mrs. Herbert Galvin; Mrs. Grace Cohen Geisinger, in memory of Jacob J. Cohen; Rabbi Elliot B. Gertel; The Goodwin Charitable Foundation; Claire & Paul Goodwin; Mr. Elizabeth Hamburger, in memory of Adolph Hamburger; Mrs. Irma Hamburger, in memory of Oscar Hamburger; Mrs. Edward Horwitz, in memory of husband, Edward Horwitz; Mr. & Mrs. Walter Kahn; Samuel & Harriet Kantrowitz; Mrs. Ida Karas; Mr. & Mrs. Eli Kasimer, in memory of Morris & Ida Matloff, Louis & Fannie Kasimer; The Rabbi Andrew Klein Memorial Fund; Mr. & Mrs. Samuel Lender; Mr. Herbert Leibovitz; the Lender Family Fund; Mr. Edward Lettick, in memory of Mrs. Edward (Helen) Lettick; Mr. & Mrs. Bernard Levine; Mrs. David Levine, in honor of her Birthday; Morris M. Levine Foundation; Mrs. Philip Lipkin; Mr. Robert Levine, in honor of Mother’s Birthday; Dr. Donna Levy & Gary Rubin; Mr. & Mrs. Charles Ludwig; Mr. & Mrs. Arthur Magid; Mr. & Mrs. Samuel Mandel; Mr. & Mrs. Lester Margolis; Mr. Benton Markowitz, in memory of George Markowitz; Mr. & Mrs. Ben Marks; Mr. & Mrs. Leon Medvedow; Elsie & Isadore Miller; Mr. & Mrs. Maurice Miller; Mr. & Mrs. Samuel Miller; Mr. & Mrs. Jack Nuht, in honor of their 50th Wedding Anniversary; Mr. George Posener, in blessed memory of wife Leah (Lee) E. Posener and the Posener Family; Mr. & Mrs. Maurice Proctor; Mr. & Mrs. Murray Ratoosh, in memory of Parents; Mr. & Mrs. Samuel Rifkin; Mr. Steven Ronai, in memory of father, Joseph Ranai and in behalf of my good friend and mentor, William Gitlitz; Miss Dorothy Ryter, in memory of her Sister, Pearl; Mr. & Mrs. David Sagerman; Dr. & Mrs. Ronald Savin; Rita & Aminadav Sela; Dorothy & Bob Shure; Mr. & Mrs. Milton Smirnoff; Dr. Franz Tuteur, in memory of Ruth Tuteur and Ernest Seligsohn; Mr. & Mrs. Bernard Volain; Mr. & Mrs. Richard Weinstein; Mona Zitomer, in memory of Husband, Joseph Zitomer. In accordance with the agreement establishing this fund, these names are published perpetually, and for that reason are retained in their original form. The Borick Family Endowment for Special Education for Youth at BEKI was established in 1998 through the generosity of the Borick Family and the Liatis Foundation to help provide for children with special learning needs in our Congregation. The Congregation took a leading role in special education through the creation of a Special Education Program in 1995; it was the first program of its kind in the region. Tailored to the needs and abilities of each student, the Special Education Program provides for a “protected” learning environment as well as for individualized degrees of “mainstreaming” in the context of the larger religious school which meets concurrently. The Houston-based Liatis Foundation supports numerous local, national and international causes. The Foundation has taken a particular interest in providing for children in challenging environments and difficult circumstances. The friendship of the Borick Family and the Tilsen Family dates back to the 1930’s. Each year, the Borick Family has made significant additional contributions to the Endowment. 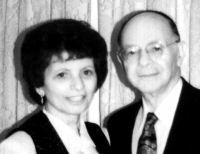 The David & Lillian Levine Endowment for People with Special Needs at Congregation Beth El–Keser Israel was established in 1999 by the Congregation through the generosity of J. Paul Levine and Richard Levine and their families to honor the memory of their parents, David & Lillian Levine, of blessed memory. Proceeds of the Endowment support Kulanu Ke’Ehad for Adults with Special Needs at Congregation Beth El–Keser Israel as well as other programs for people with special needs. The Levine family, of Connecticut and California, were among the founders of the Congregation in the 19th century, and maintain membership in the Congregation into the 21st century. The Diana Friedman Opton Fund for the Benefit of Congregation Beth El–Keser Israel was established by Diana Friedman Opton to provide for the continuing operation of the Congregation and to support its mission. Over the course of several decades, Diana Friedman Opton has been an active member of the community and has served in numerous leadership capacities in the Congregation, particularly in education. This fund incorporated the The Beth El–Keser Israel Endowment Fund, originally established in 1996 in order to promote the Congregation’s mission of Talmud Torah, study of sacred texts and ideas. The Endowment supports the Congregation’s Torah for the Hungry Mind Adult Studies Program and supports other educational and outreach endeavors. This Endowment is managed by the Jewish Foundation of Greater New Haven. A year later, as Eric prepared for the end of his days in this world, he made a bequest to BEKI. To honor his vision, his bequest was used to establish the Eric I.B. Beller Environmental Fund. Income from the Eric Beller Fund is dedicated to making our physical infrastructure and space more efficient and more environmentally friendly. Eric’s family and friends contributed to the establishment of this Fund. The George G. Posener Family Memorial Yom Kippur Break-Fast Fund at Congregation Beth El–Keser Israel in blessed memory of his wife, parents, sisters, brother and two precious sons was established by George G. Posener in 2001 – 5762 to create a lasting memorial at the time of the yahrzeits of his family members. Proceeds from this endowment provide for a special and meaningful community gathering at the end of Yom Kippur. The George G. Posener Kadima & United Synagogue Youth Fund was established by George G. Posener in 2002 – 5762 to support the Kadima program for youth in grades five through eight and the USY program for youth in high school. In recognition of the importance of these programs in preparing young people to be leaders in the Jewish and civic community, and in appreciation for the work of Ms. Darryl Kuperstock and the other parent volunteers who have guided the youth toward excellence, Mr. Posener created the Fund to provide perpetual support to our youth. 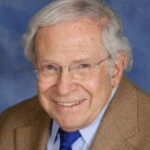 George G. Posener has long been a supporter of Jewish education for youth, and was among the founders of the Hebrew School Endowment Fund at BEKI in 1983. Since the establishment of the BEKI religious school, Posener has presented each student with a gift at the annual Graduation and Promotion Exercises. Seeing the continuing success and growth of the School and sensing the need for assured funding, he established the George G. & Leah E. Posener Endowment for the Jewish Education of BEKI Youth in May 1997. To express their appreciation, the students, alumni, parents and faculty of the School designated Shabbat morning 17 May 1997 as the Religious School Shabbat at BEKI Honoring George G. Posener. On that occasion Posener offered the following explanation as to what motivates his support of the School. As a youth, I was one of six children residing in a small town with no synagogue and no rabbi. My Hebrew education came from my observant parents. As I recall, a travelling rabbi from the big city would pick up the “pushka” every week and leave one for the following week. The only means for his transportion, weather permitting, was by trolley car. I was too young to travel alone to the big city, but as the time came closer to my Bar Mitzva, my parents felt I was now a man and able to travel by myself to Sunday school to be confirmed. As I became older and moved to the city and attended synagogue, I realized how much I had missed by not attending Hebrew School. I also realized if I could help any Jewish child receive a Jewish education, which I missed, I would share whatever funds I could spare to assist them. Through the management of the Jewish Foundation of Greater New Haven, the interest from my endowments will provide now, and in perpetuity, an annual income to Congregation Beth El–Keser Israel for the Hebrew School, enabling all students to acquire a liberal Hebrew education. Ever since the Hebrew School was established, it has been my great pleasure to give each child from each grade a gift upon promotion and graduation. The “smiles and thank-yous” I received is unforgettable! I was thrilled to talk to many of the children’s parents who go all out to make sure their children are educated in the Jewish faith, which the Hebrew School enables. The growth of the School is phenomenal. The enrollment has increased to sixty-five students, needs have grown from one classroom to ten, and the teaching staff consists of highly trained, competent instructors, some with degrees in Jewish education. These children are the future of our Synagogue and I am very proud of them. While I may forget all their names, I am sure they will not forget me. May the Good Lord, the Grand Architect of this wondrous universe bless each and every one of you with good health and long life. May God also bless America and Israel. Posener was the first recipient of the Congregation’s Distinguished Service Award in 1995 in recognition of outstanding volunteer service to the Congregation. In 1999 and again in 2000, George Posener added significantly to his initial contribution to the Fund. To mark Gilah’s acceptance of adult responsibilities toward God and Humanity at the time of her becoming a bat mitzva, Gilah and her family have endowed the Gilah Benson-Tilsen Fund for Youth at Congregation Beth El-Keser Israel. Proceeds from this Fund will provide support to the Congregation’s youth activities such as our local chapters of Kadima & USY, which are affiliated with the United Synagogue of Conservative Judaism. The establishment of the Fund is one way that her family and friends express appreciation to the community, and to the Almighty, for the blessings of love, joy and Torah that we experience through Gilah. 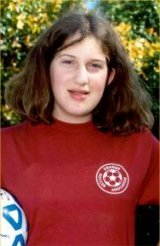 When this Fund was established, in Tevet 5763 – December 2002, Gilah was a graduate of the Congregation’s Benei Mitzva Preparation Program and a student at Ezra Academy. 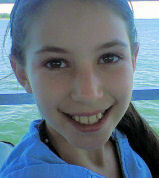 Gilah is an avid reader, an enthusiastic soccer player and talented artist. She is a daughter of Rabbi Jon-Jay Tilsen and of Miriam Benson, and a granddaughter of Evelyn Benson and the late Morton Benson, and of Robert & Sandy Tilsen and the late Joy Tilsen, for whom she is named. See “Donate” for directions on contributing to this Fund. Read Gilah’s Devar Torah, Jacob & Sons. 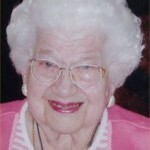 Gladys R. Lipkin has long been a member and supporter of the Congregation. She has been particularly interested in the Congregation’s youth education and special education programs. In 1999, she established The Gladys R. Lipkin Fund for the Congregation Beth El–Keser Israel Hebrew School to provide ongoing support for the religious education of BEKI youth in a Conservative setting. In addition to her philanthropy, Gladys Lipkin has provided her expertise and leadership in helping to direct the Congregation and its religious school over the years. The Goodwin Brothers Endowment for the Benefit of Congregation Beth El–Keser Israel was established by the four Goodwin Brothers, Louis (Lou), Samuel (Sonny), Robert (Bob) and Paul (Pat) and their family. The Goodwin Brothers and their family were founders, leaders and presidents of the Congregation. In 1931, Lou Goodwin established a steel trading company. Subsequently, his brothers joined him as partners in The Eastern Steel and Metal Company. The Goodwins were industrial leaders for decades, and involved in the local and national Jewish communities as well as the local civic community. They were directors or officers of the Greater New Haven Chamber of Commerce; Junior Achievement; American Association of Industrial Management; Association of Steel Distributors; Yale New Haven Hospital; Union and New Haven Bancorp; Northeast Bancorp; New Haven Colony Historical Society; Jewish Family Service; National Conference of Christians and Jews; and Connecticut Business and Industry Association, among many others. Both Lou and Pat served as presidents of the Congregation. The Goodwin Brothers Endowment was originally established as the Robert Goodwin Memorial Endowment to provide an annual lecture or special program at Beth El–Keser Israel. In 2012, the Fund was expanded to include the four brothers. Robert Goodwin, husband of the late Lilyan Goodwin, is remembered as a wonderfully personable man who enjoyed the love and respect of others, in part because of the exemplary way in which he fulfilled the mitzva of treating others with equality and dignity. He was a good-natured man who through his many contacts enjoyed bringing fine speakers to his shul, Beth El–Keser Israel. The Robert Goodwin Memorial Endowment sponsored the Community Breakfast featuring nationally recognized New Haven Police Chief Nicholas Pastore in 1995 and New Haven Mayor John DeStefano Jr. in 1996. A Shabbat morning service featured the renowned scholar Dr. Baruch A. Levine in 2002. The Irving Simon Fund is a legacy fund managed by the Directors of the Congregation until 2008, at which time management was given to the Jewish Foundation of Greater New Haven. 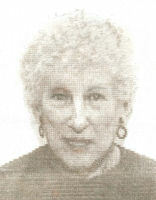 The Leah E. Posener and Betty D. Zelen Memorial Fund for the Benefit of Congregation Beth El–Keser Israel Sisterhood was established at the Jewish Foundation of Greater New Haven in 5759 (1999) by George G. Posener to memorialize two very special women and to provide a steady stream of income to support the Congregation through its Sisterhood. Leah E. Posener (pictured in the above article with George in an early photo) was the wife of George Posener and beloved member of the Congregation and its Sisterhood. Together with George she created a home filled with love and good deeds. Leah departed this world at the High Holy Day season in 1987. 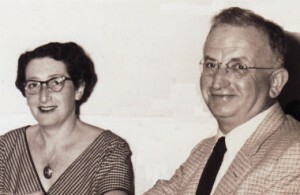 Betty D. Zelen (pictured above with George) was the dear companion of George Posener for the past decade as well as a beloved member of the Congregation and its Sisterhood. Remarkably, both women shared the same birthday and both were struck with a rare blood condition. George G. Posener was honored as the first recipient of the Congregation’s Distinguished Service Award in 1995. He is a leading supporter of the Congregation through his philanthropy. George is known as well for his extensive philanthropy in the Jewish and civic worlds. Ida Spivack Goldstein, who died in February 2013 after more than 95 years of life, left a major bequest to support BEKI and to help insure its future. This bequest was used to establish a general endowment to which otherwise undesignated endowment bequests will be contributed. Ida was born in New Haven and grew up in the loving home of Abraham and Sarah Spivack, who came from Russia five years before her birth, along with her dear siblings Jack, Barney (Barnett), and Frances (Fannie), and Nina, Betty (Bertha), Harry, Mendel, Shmilik, and Ruth and along with her grandmother Rebecca, Sarah’s mother. Her father owned and operated a dry goods store in New Haven. Ida worked for the City of New Haven. Her intelligence, reliability and attention to detail earned her the respect of those she worked with. She was self-supporting and independent. Ida married Isadore “Izzy” Goldstein in July 1965 in New Haven, and they provided each other companionship, love and mutual support during their happy years of marriage. She held a special place of regard and affection in the Goldstein family. Izzy died in Aug 1980 at the age of 57. Friends from the West Rock Senior Center, Congregation Beth El-Keser Israel and its Sisterhood, neighbors, and co-workers recall Ida as direct, kind, and strong. She had a clear sense of right and wrong, and she knew what she liked or disliked. She was creative with language as well as with paint on a canvas. She enjoyed reading, theatre and the arts. She also liked telling jokes. Ida followed a regiment of weight training and regular walking. She was fit all of her adult life. A person of steady habits, she was well-organized and frugal. Ida also enjoyed being a center of attention, and she was proudly independent. She didn’t need anything. She wouldn’t take medications or use a hearing aid, and she might well not follow the doctor’s orders. Ida was blessed with people who cared about her, and in particular her nephew Richard (& Susan) who maintained a life-long loving relationship, and during her final five or ten years in particular was instrumental in providing her the support she needed to maintain her independence and dignity, to the extent that was possible given her circumstances, and who provided her with the most regular and important human contact. The daily attention was more than many children provide for their own parents. Ida had attended on the Holy Days and she saw the synagogue as an important expression of her Jewish identity which she very much valued. She had important relationships with Charlie and Violet Ludwig, Donna Levine, and several other BEKI veteran members, as well as with contemporaries such as the late Irving Weinstein. Part of Ida Goldstein’s major bequest established this fund, which is managed by The Jewish Foundation of Greater New Haven to provide continuing income to the Congregation to insure our future. Lester & Bernice Margolis have established an endowed Fund at the Jewish Foundation of New Haven to meet the ongoing needs of Congregation Beth El–Keser Israel. The Margolis Fund will help assure that Beth El–Keser Israel will able to meet the growing needs of a generation reclaiming the spiritual heritage of their people. Lester & Bernice Margolis are life-long members of Congregation Beth El–Keser Israel and have supported the renewal of the congregation through their leadership and philanthropy. Three generations of the Margolis family have made BEKI their synagogue. When the Congregation’s building was built in 1959, a library was established by Louis Rosenkrantz and his children in memory of Faye Sachs Rosenkrantz, of blessed memory. During these years the library has proven to be one of the most heavily used resources in our facility. In Autumn 1997 a gift of Louis & Mary Gurian Rosenkrantz established the Louis & Mary Rosenkrantz Family Library Endowment for Congregation Beth El–Keser Israel. The Louis & Mary Rosenkrantz Family Library Endowment is managed by the Jewish Foundation of Greater New Haven. Only the interest will be used to maintain the Rosenkrantz Family Library, so the Endowment will ensure the Library’s maintenance in perpetuity. Mr. & Mrs. Rosenkrantz contributed generously at that time as well toward immediate capital expenses associated with the Library. Rabbi Levine, a widower, also wished to memorialize his wife, Malka. “I wanted to guarantee and perpetuate the principles of Judaism that she lived during her lifetime.” He will receive income from the Charitable Gift Annuity for the rest of his lifetime. Upon his death, the undistributed income and principal in the annuity will be used to establish the Malka and Murray Levine Memorial Fund for the Benefit of Congregation Beth El-Keser Israel. Rabbi Levine initiated this process in 2001 by establishing his first annuity. In subsequent years, he has added additional annuities for the benefit of the Congregation. The BEKI Bulletin (October 2001 p. 13) reported that Veteran BEKI member Marvin Missan has joined George Posener and Rabbi Murray Levine as guarantors of the Congregation’s future by including BEKI as a beneficiary in his estate plan. The Congregation’s long-term vitality can only be assured through the support of forward-thinking members and supporters. Following Marvin’s passing in July 2011, the Congregation learned it was a beneficiary of his life insurance policy. Proceeds were directed to provide for immediate needs of the Congregation as well as to create a memorial to Marvin’s name to help meet the Congregation’s continuing needs. Marvin Missan, a graduate of Hillhouse High School and of Yale College in New Haven and of Teachers’ College in New York, died in the summer of 2011 at home in New Haven. Remembered for his devotion to the daily minyans, his green jalopy and his support for the American Postal Workers’ Union, Marv read widely and especially enjoyed history and science. One member, Stan Saxe, recalled how Marvin helped take care of the member’s elderly aunt, and indeed Marvin did reach out to his elderly neighbors, sometimes helping people get to medical appointments. I am so sad to hear about Marvin’s passing. I have very warm memories of him. When we first came to BEKI in 1995, it was in preparation of (our son) Matthew’s bar mitzva. I remember talking with Marv and he always had a joke to share. Once the bar mitzva plans were in full swing, we had always kibbitzed with Marv at Saturday services. Marv requested an invitation to Matt’s big day; of course we granted his request. The big day came and you would think we were related. He gave Matt a very generous gift and never failed to ask about sonny boy. I would see Marv at Stop and Shop and beyond the jokes we would talk about his health, medical issues and of course Matthew. I will miss him. I met Marvin many years ago, through attendance at daily minyan, and I fondly remember his round, smiling face and his warm, friendly manner. It turns out he remembered BEKI fondly, too — fondly and generously. Given my love for this community and my shared responsibility for safeguarding its future, I am deeply grateful that Marvin — who supported the shul during his lifetime — continues to do so after his passing. People like Marvin Missan are essential to our present and future. Marvin was very involved in daily services, contributed financially as a member, and has helped to provide for our future through his estate planning. While dues-payers and donors may receive the benefit of a tax deduction for their donations, they are also able to actively participate in the numerous activities of the synagogue if they so choose. They might attend the classes, services or other programs offered, or they may feel proud that their generosity helps people and insures the vibrancy of Jewish life among our community. But those who generously bequeath funds for use after their days in this world have ended, are sure to feel satisfaction in the knowledge that they are giving a gift for others and for the future. It is a gift of faith, trust and love. Congregation Beth El–Keser Israel is the proud beneficiary of the Morris & Sara Oppenheim Fund for Sacred Music at Beth El–Keser Israel. Endowed by Sara Oppenheim to perpetuate the knowledge of Jewish Sacred Music, a goal which she shared with her husband Morris Oppenheim of blessed memory and instilled in their children and grandchildren, the Fund will assure the continuity of this essential component of our heritage from one generation to the next. Proceeds of the endowment fund continuing educational programs, such as workshops on haftara trope, shabbat and daily nusah; expenses for the Shabbat Evening Service; High Holy Day music workshops; and other activities to perpetuate the knowledge of traditional melodies. This Endowment for the benefit of Beth El–Keser Israel is managed by the Jewish Foundation of Greater New Haven. In this way the Morris & Sara Oppenheim Fund for Sacred Music provides the community with the additional benefit of supporting the Foundation. Only the interest from the endowment is used so the programs are funded in perpetuity. The establishment of the Endowment was recognized by a dedication ceremony and through publicity in the local media. In addition, recognition is given each time proceeds are used to fund a program. The Morris & Sara Oppenheim Fund for Sacred Music at Beth El–Keser Israel allows BEKI to continue serving the spiritual needs of the Greater New Haven Jewish Community for the next generations. Numerous Programs are sponsored by the Oppenheim Endowment each year. The Oscar & Irma Hamburger Memorial Fund was established by bequest of Irma Hamburger in 2008 – 5768. Irma Hamburger grew up in Butthard and in Karlsruhe, Germany, in the loving home of her parents Saly & Ida Hess, along with her dear sister Erna and her brother Lothar, both of blessed memory. She was a young woman when their parents died in 1933 and 1934. She left Germany early in the war and came to the United States. Irma met and married Oscar Hamburger, of Dudelsheim, in March 1945. Her in-laws died in the early 1950s. Her sister and brother-in-law, Erna & Freddy, died tragically in 1954. To her misfortune, Oscar died in 1963. Irma was a member of Temple Keser Israel, now Congregation Beth El-Keser Israel (BEKI), for over 50 years. For Irma, synagogue membership was an important and essential expression of her Jewish identity. She was a proud Jew, observing the dietary laws and lighting Shabbat and Hanuka candles. She supported numerous charities. Every year she made a point of contributing to support the needy at each of the Jewish holidays. Her charitable giving in her estate was directed almost entirely to Jewish and Israeli organizations. Mrs. Hamburger chose to establish an endowment at The Jewish Foundation of Greater New Haven because she wanted to insure that her bequest would receive professional management and strict accounting, and to insure that her tsedaqa would support the work of the Congregation in perpetuity. Irma was blessed with a clear, intelligent and active mind, until her final days. She had the unusual merit of living independently for almost half a century, and was highly self-reliance. She was a strong woman, and through her charitable work, in her own name and that of her husband Oscar, she has become a heroine of the Congregation. The Posener Family Memorial Fund was established by BEKI Board Member George G. Posener to honor the blessed memory of his loved ones by maintaining the Synagogue building as a house of worship, study and communal activity. As Chairperson of the Building Committee during the mid-1990s George managed major building restoration projects, including the replacement of the roof and pointing of the brickwork. In addition, George oversaw the repair and maintenance of many parts of the synagogue building, often providing his own labor. Posener was honored with the Congregation Beth El–Keser Israel Distinguished Service Award in 1995 in recognition of his extraordinary and exemplary volunteer effort for our shul. He was the first recipient of the award. The Posener Family Memorial Fund is managed by the Jewish Foundation of Greater New Haven. Only the interest from the Fund is used, so the support of the synagogue will continue in perpetuity. In 1999 and again in 2000, Posener added significantly to the principal of the Fund. Stanley Saxe announced upon the celebration of his 85th birthday in 2013 his intent to fund a charitable remainder annuity to provide for the future needs of the congregation. Details to follow. The Tillie Dworski Horwitz & Edward Horwitz Endowment was established by Tillie Dworski Horwitz, a beloved member of the Congregation, in 1989. The Endowment provides support each year for one or two children of BEKI members to attend a Kadima or USY conference or convention, or to attend Camp Ramah. Recognizing the centrality of youth activities and education to the future of the Jewish People and humanity, Mrs. Horwitz has made a significant gesture to provide support and to set an example for others. Administration of this Endowment was assumed by the Foundation in 2003. The Tova Benson-Tilsen Fund for Animal Welfare at Congregation Beth El-Keser Israel and in Israel was established in 2009 by Tova Benson-Tilsen and her family and friends at the time of her bat mitzva celebration. Proceeds are intended to promote awareness and observance of the mitzva of tsa`ar ba`alei hayim (the prohibition against animal cruelty) and related mitzvot, through a qiddush sponsorship or educational programs at the synagogue and through the direct work of rescue, litigation, legislation and education in Israel.